A celebrity wedding is on the horizon as Prince Harry and Meghan Markle prepare to announce their engagement. The celebrity couple have tried to keep their relationship private. However, Markle has realized that it’s not as easy to keep a royal relationship under wraps as she thought, and will have to embrace the public eye quickly. According to UsMagazine.com, multiple sources close to the celebrity couple believe the pair will come forward with an official announcement concerning their status “soon”. Although, they are waiting until Markle finished filming her final season of Suits, so she can move in to the palace. 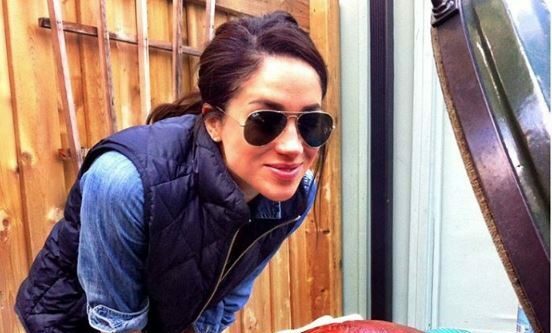 There may be some royal celebrity wedding news coming out soon! What are some creative ways to announce your engagement? 1. Photo shoot: A classic photo shoot is always a great option for your engagement announcement. Pictures are extremely personal and can be customized for every couple. No picture session is the same, and every photographer has their own style. You can also put your own twist on the shoot and incorporate things that are central to you and your fiance. 2. Be a celebrity: Have you ever dreamed of being like the stars you see on every celebrity magazine? Now is your chance! Take a paparazzi-esque picture with your partner and plaster it on the cover of your favorite magazine. Write up a mini article about you and your partners relationship, detailing the events of your engagement and send it out to friends and family. They will never see it coming and be so surprised. 3. Include your family: Do you and your partner have kids? Or a beloved family dog? Put them at the center of your announcement! Snap a picture of your loved one and attach a witty line or cute sign sharing your news. This announcement is fun and creative, while allowing you to include the things you love most. How did you announce your engagement? Comment below!